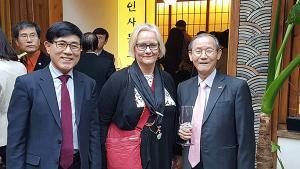 Chairman Park Haeng-hwan of the ‘Old Boys Club’ of The Korea Herald media (seventh from left) poses with the leaders of the Club. 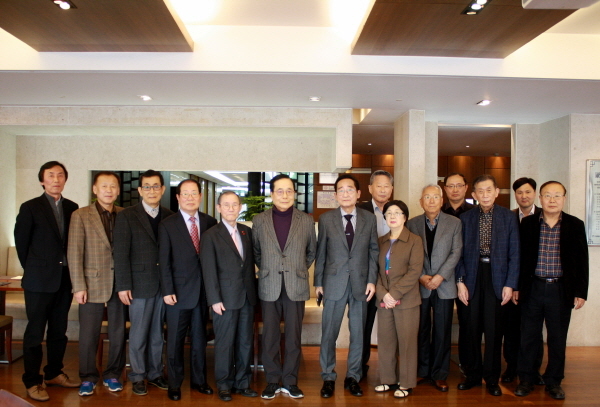 Former Chairman Yun Ik-han, former Cultural Editor Lee Kyung-sik of The Korea Herald (now publisher-chairman of The Korea Post media) are seen 9th and 10th from right, respectively. 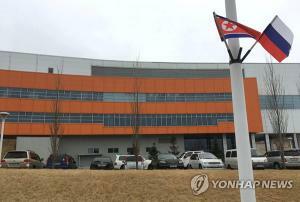 “The Korea Herald Media scored 30th in a total of 164 leading media organizations in Korea last year,” reported incumbent Executive Director Yoon Suk-hong of The Korea Herald media at the Herald ‘Old Boys Club’ meeting at the Seoul Press Center on March 7, 2019. 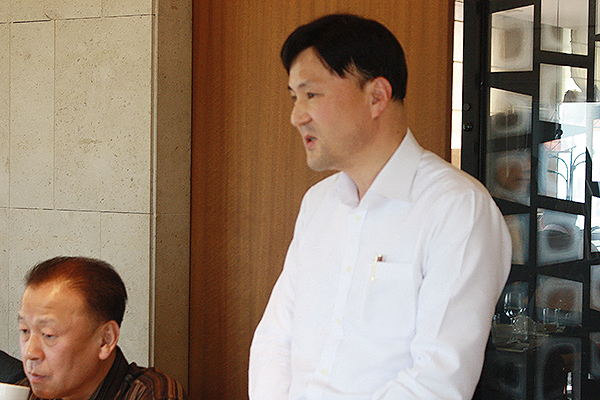 The meeting was attended by newly elected Chairman Park Haeng-hwan of the Club, former Chairman Yun Ik-han and many former leaders of The Korea Herald and Herald Kyungje (Economic Daily). 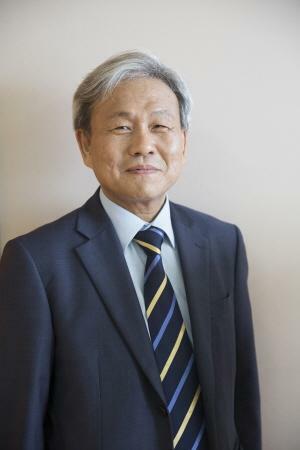 Chairman Park of the Old Boys Club of The Korea Herald media (organization of the retirees of the English and Korean-language daily newspapers of the Herald Media) speaks to the meeting as new leader of the Club succeeding former Chairman Yun Ik-han. Park said he would do his level best to keep the ‘Old Boys’ Club’ going. 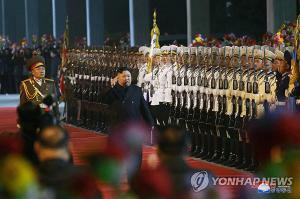 “I hope that all our members would favor me with the same warm support and assistance given my predecessor, Mr. Yun, and I will be happy If you will do the same to me,” he said. 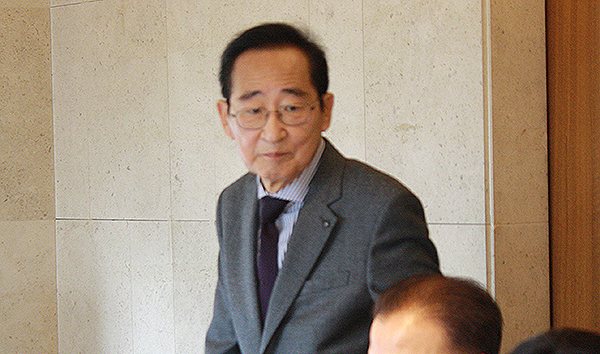 Former Chairman Yun Ik-han of the Club speaks to the meeting. Executive Director Yoon Suk-hong of The Korea Herald media (standing) speaks to the meeting—introducing the present status of the company. 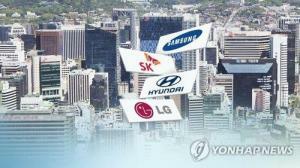 The Herald Corporation has diversified the company business operations into various fields--even covering non-media areas. Yoon did not hide the good news for the ‘Old Boys’ which their ‘Mom’ had and it was news that The Herald scored the 30th place in a total of 164 competitive media companies of the ABC. 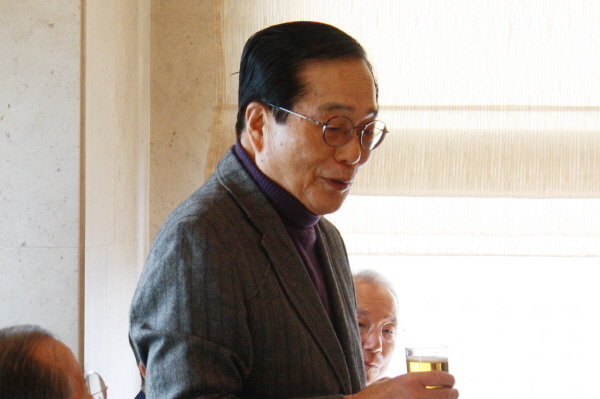 Former Chairman Yun Ik-han (standing) offers a toast with the leading members of the Old Boys Club.